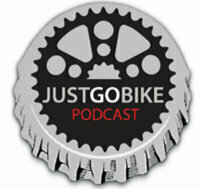 JustGoBike is a fun podcast focusing on the culture of biking just for the fun. Hosted by our very own Iowa Bicycle Coalition Executive Director Mark Wyatt along with RAGBRAI Director TJ Juskiewicz, this podcast is joined by a variety of guests each week who delve into the social side of bicycling. The Steering Committee for the DavenportGo: A Multi-modal Enhancement Plan is pleased to present its first draft. Over the last year, the city has been developing a plan for improving mobility options for the community, which can be phased in over time. A public open house was held on February 19th at the Figge Museum, and the City Council reviewed the concepts on March 6th. Now that the draft is complete, we need to hear more from you! Through the advocacy of the Bi-State Commission, River Action, QCBC and local governments these trails have been developed for the residents of the greater Quad Cities area. In May, 2018, Department of Transportation awarded the City of Moline a $2 million grant to connect the Mississippi River multi-use trail system to the Rock River trail. Eventually, it will also connect to the new I-74 Bridge trail leading to Iowa. Moline’s contribution of $500,000 brings the total investment to $2.4 million. The river-to-river recreation path codified about six years ago awaits the completion of the I-74 Bridge before construction can begin. Generally speaking, it will follow the I-74 corridor; in the meantime, there are three alignment studies underway. “It is our alignment and refinement stage as we work to connect the corridors”, Jeff Anderson, city planner and author of the grant, reports, “The first phase will be from River Drive to 7th Avenue. We have one shot to get it right. The adage ‘measure twice, cut once’ comes to mind.” After alignment is determined, construction can begin with the goal of completion by the time the I-74 Bridge is completed in 2020-21 when it will connect with an expansive trail and observation area on the bridge. The Rock River Trail, established along the 320 mile river course, starts in Wisconsin and ends in Rock Island. A multi-use recreation trail of scenic and historic interest, it runs through 11 counties and includes a water trail designated as a state and national water trail by the National Park Service. Constructed in 2010, founders established a scenic and historic route for motorists as well as a route for bikers and hikers. In an effort to promote ecotourism, the Rock River Trail Initiative has promoted safe portage of the dams from Waupun, Wisconsin, to Rock Island. It advocates for protection and preservation of our Native American peoples, their cultural heritage and contributions in the river valley. With support for natural resource conservation, stewardship, and environmental planning, it contributes to improved water quality and ecosystems. Over the past eight years, signage has been installed for portages, launches, biking and driving, including several signs in the Quad Cities. In 2018, awards were given to two bicyclists and a pilot that completed all 320 miles; nineteen 320-Mile Awards have been given since the program was established three years ago. Local bicycle enthusiast, Dean Mathias, serves currently as a volunteer on the Rock River Trails board. LeClaire residents are enthusiastic about a potential multi-use trail that will pass through town. “Anytime we ask residents about their top interests related to Park and Rec activities, the bike path is always at the top of the list,” said Amy Blair of the LeClaire City Council. The trail is incorporated into LeClaire’s comprehensive five year Parks and Recreation Plan and its Economic Development Plan. The city engineer has developed the trail plan for construction of approximately 2.6 miles of separated trail adjacent to the Mississippi River. The trail will run alongside the Great River Road scenic byway and the Mississippi River Flyway and through the riverfront portion of downtown. The project will connect with the historic Cody Trail, an existing 25.5 mile signed trail through rural Scott County from Eldridge to LeClaire. Total cost for implementation of the new bike path is estimated at $1.5 million. There is currently $475,000 in the city capital investment plan to support the project. The city is currently applying for state and federal trail grants to move forward with construction. This year the Parks and Recreation team will be transforming the green space of Huckleberry Park for the first time in the city’s history. Their development plan includes the installation of a new pavilion with kitchen and restrooms as well as a large playground in 2019. The Buffalo Trail was completed in the summer of 2018. The total cost of the project was just over $450,000. Funds raised through fundraisers, grants, and donations from local businesses and individuals ultimately got the project completed. Jim Matthys, Chairman of the Buffalo Trail Committee stated, “Our biggest obstacle was being patient, as it took over twenty years,” obtaining a DOT grant for a trail through a small community proved difficult. They achieved their goal by working with the Bi-State Regional Commission, River Action, the Quad Cities Bicycle Club, Dean Mathias, and city, county and state officials. There has been discussion of a trail expansion from the west end of Buffalo to Muscatine along Highway 22. With Highway 22 scheduled to be resurfaced under the Iowa DOT’s twenty year program, there is hope that funding can be secured to connect that section of the Mississippi River Trail at that time. The grand opening of the Buffalo Trail will take place in early June. Like River Action on Facebook to stay informed of the date of the event once it’s finalized.